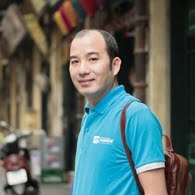 We will never get bored of talking about the S-shaped country Vietnam and how this nation charms million tourists all around the world. 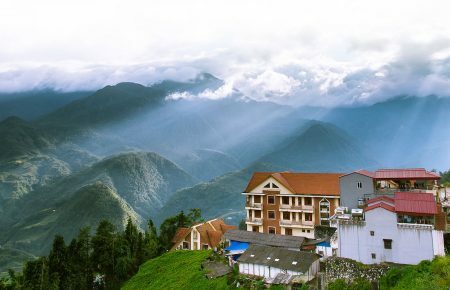 Vietnam always amazes travelers as there are no two regions in this country have the same color. 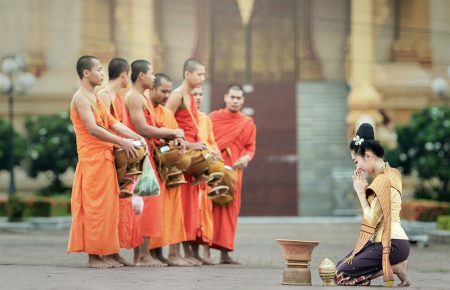 Each Vietnamese region, the south, the north, or the central has its separate attractions, traditions and life-style. And the important thing is they are all so charming in their own way. The sleepless city Ho Chi Minh, previously known as Saigon, is like a colorful dream that will never stop (unless you do). It has shaken off the image of a war-torn city to become a thriving metropolis, challenging Singapore, Bangkok and the other traditional powerhouses of Southeast Asia. In this city, tourists can find fine restaurants, flash hotels, glitzy bars and clubs, shops and malls selling imported luxury brand products; adding a glossy veneer to the city’s hotchpotch landscape of French stones of empire, mystic pagodas and temples, Soviet-style housing blocks. 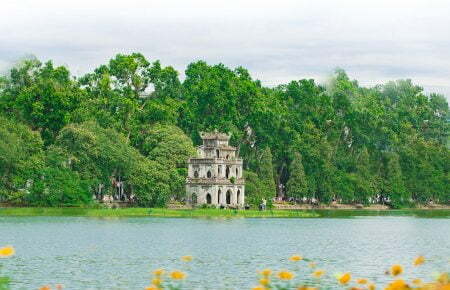 If Hanoi is a city of romance and tranquility, then Saigon is much more eventful, with a fury of sights and sounds. Some historical highlights in the city while you are here can be counted are The General Post Office, War Remnants Museum, Notre Dame Cathedral, and General Post Office. This is also a heaven to shopaholics, where you could find luxury goods, unique handicrafts and even good quality second hands with the unbelievable price in number of shopping malls and markets. 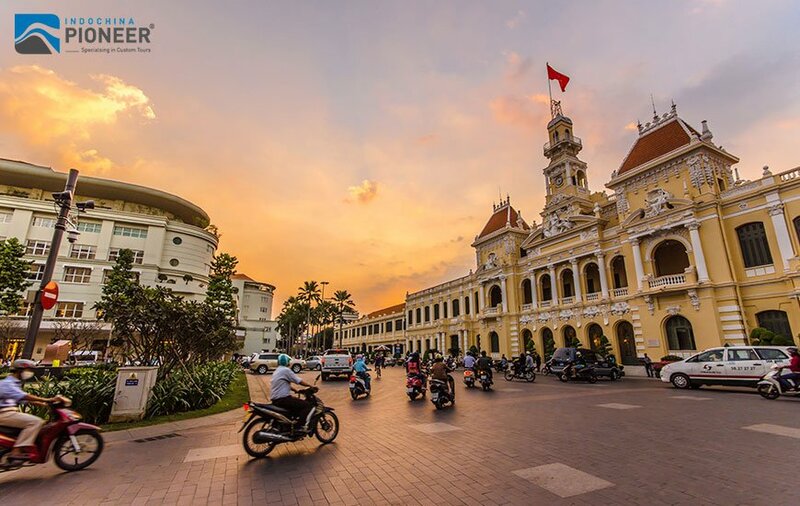 Food lovers may adore this city, too, the land of street foods, and don’t forget the famous “Banh Mi” here. 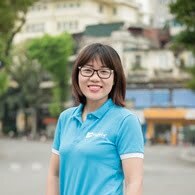 For nightlife seekers, sooner or later, Bui Vien street will definitely become your Holy grail. 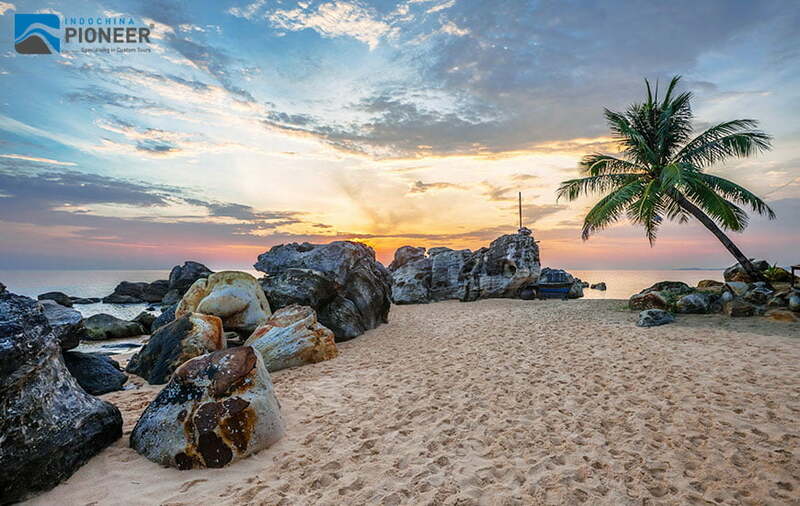 If you want to find a near get-away out of the city in a day, you’ll find many day-trips which are best arranged through a local tour operator. 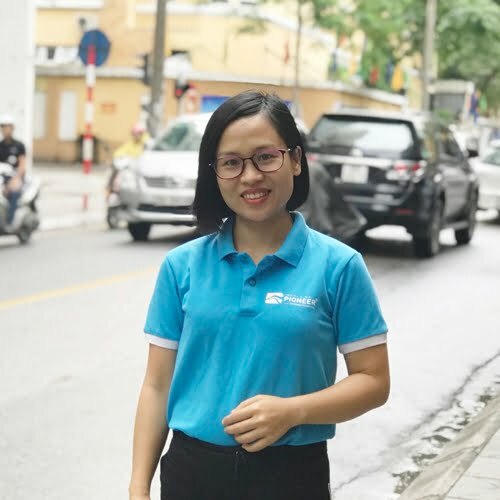 The single most popular trip out of the city takes in one or both of Vietnam’s most memorable sights: the Cu Chi tunnels, for twenty years a bolt hole, first for Viet Minh agents, and later for Viet Cong cadres; and the weird and wonderful Cao Dai Holy See at Tay Ninh, the fulcrum of the country’s most charismatic indigenous religion. Another enjoyable day (or half-day) out can be had at one of the water parks that are located on the fringe of the city and make a great antidote to the dust and heat of Ho Chi Minh City. 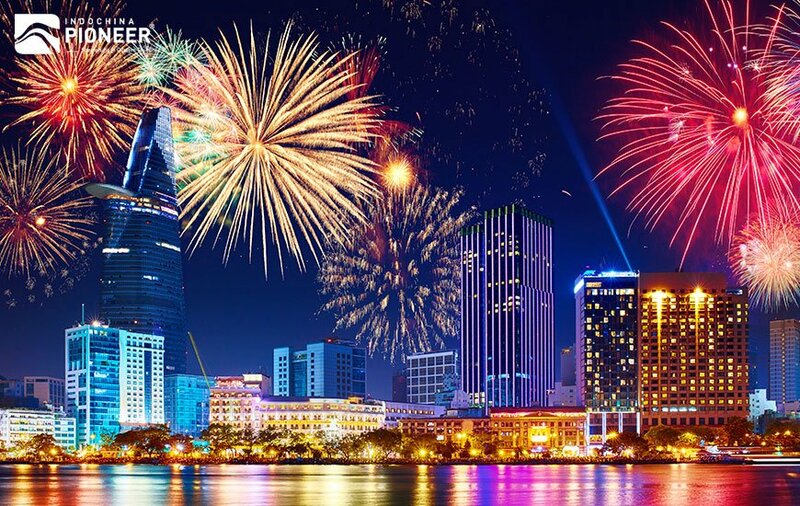 Southwest of the city, a new highway runs down to My Tho, where you can catch a glimpse of the Mekong River; while to the northeast, it breezes up to the dreary orbital city of Bien Hoa, from where Highway 51 drops down to the beaches around Vung Tau. And from Ho Chi Minh City, you only need to take a short drive to enjoy the Mui Ne beach and sand dunes. 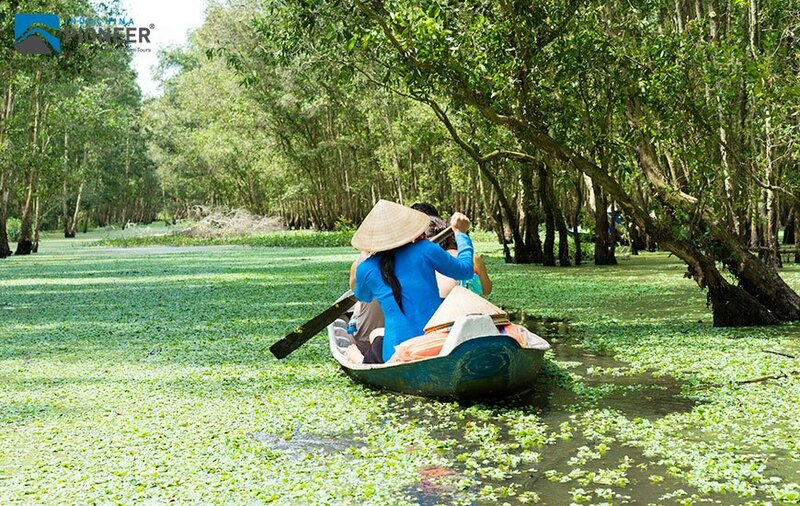 As known as the “rice bowl” of Vietnam, Mekong Delta brings the magic inside that appeals all those who have come to this immense land. The region covers a vast area of endless paddy fields, producing around half of Vietnam’s agricultural output. Rice, however, isn’t the only products; it is also abundant with mangoes, papayas, dragon fruits, coconuts and pineapples. 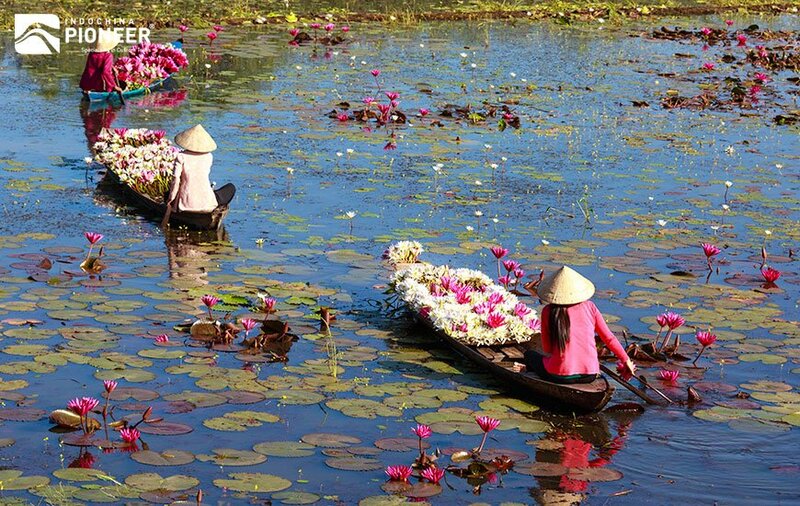 They can be found at hustle and bustle floating markets like Cai Rang or Cai Be, where vendors float around on boats with fresh produce and other goods. 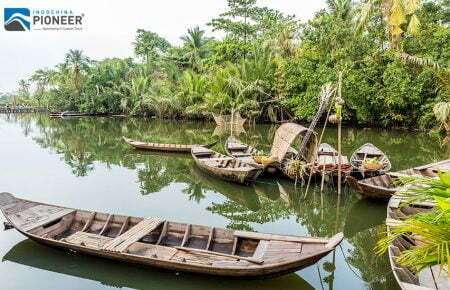 A visit to the Mekong Delta is so memorable because of the region’s diversity. Everyday scenes include children riding on the backs of water buffalo, rice workers stooping in a sea of emerald, flocks of storks circling over a sanctuary at dusk, Khmer monks walking mindfully, and locals scampering over monkey bridges or rowing boats on the delta’s maze of channels. 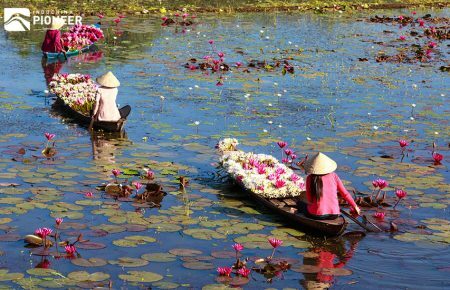 Besides normal tours to traditional villages and hick towns, you could a relaxing river cruise is to get the most out of the colorful life in the Mekong Delta. On board an exclusive cruise vessel, you can get a firsthand experience of the delta without sacrificing comfort and privacy. 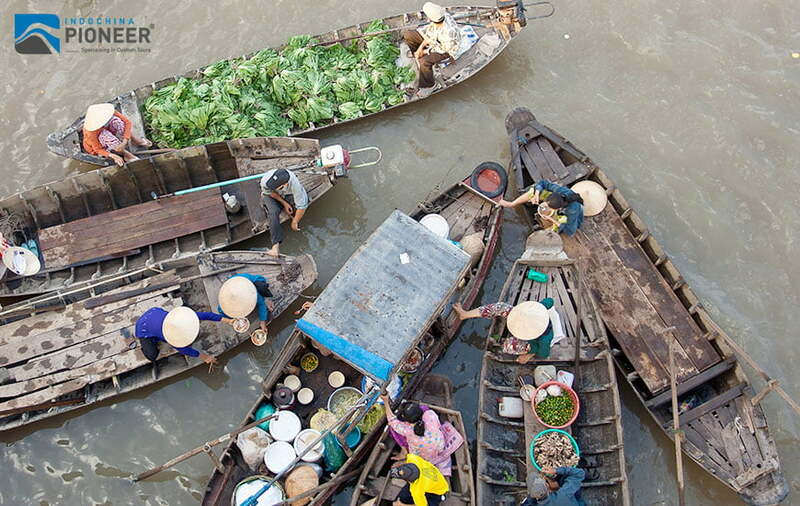 Small land excursions on foot or by bicycle and of course the visit of a floating market provide an insight into life in the Mekong delta off the beaten track. Between the excursions the vessels glide through beautiful water landscapes with lush vegetation, passing orchards, temples and small towns. Mangrove forests in Dong Thap Muoi, Ca Mau or Chau Doc could bring you to the otherworld which you could not find anywhere but in this area. 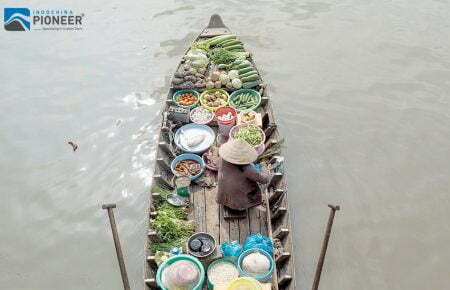 Can Tho, Ben Tre, Sa Dec etc. may be the highlights of your river-land adventure. 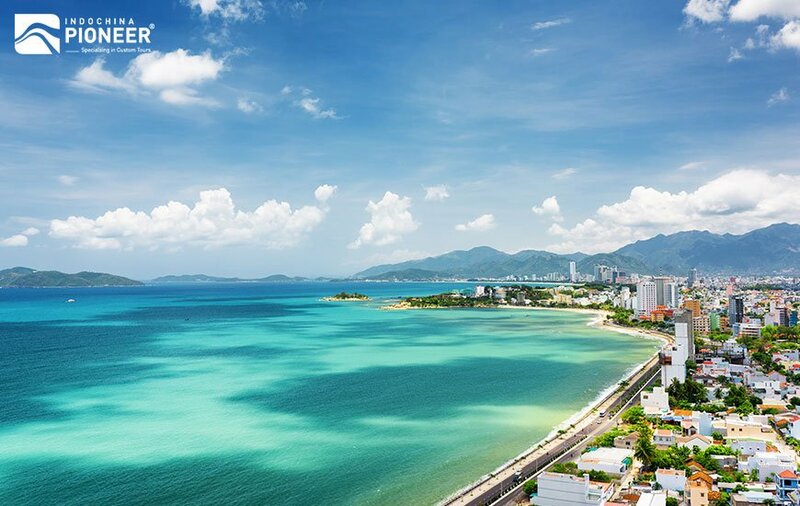 The delightful city Nha Trang, one of Vietnam’s top beach destinations, offers its admirers not only the amazing landscape, with a great long beach and a lot of islands; but also variable water sport activities, from scuba diving, hiking, snorkeling to kite surfing. 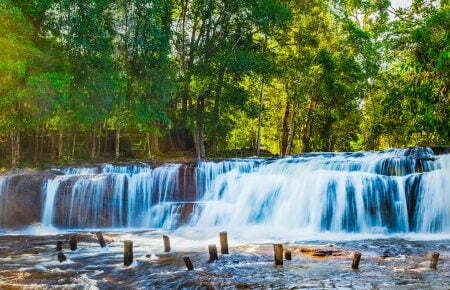 This is a perfect destination for both nature lovers and adventure seekers. But sea and sand are not the only things travelers can find in this sea city. The culinary art is noteworthy, as is the range of accommodation amongst some stylish boutiques and bars. 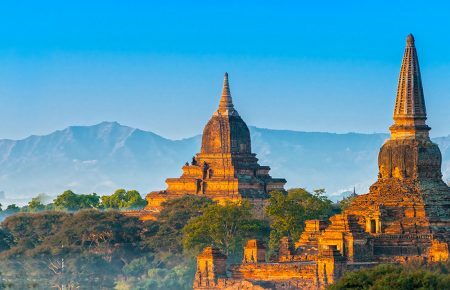 Then there are a few sights, both in and around the city, with the intriguing Po Nagar Cham towers of greatest appeal – by the time Nguyen lords wrested this patch of the country from Champa in the mid-seventeenth century, the towers had already stood here for over seven hundred years. Tourists can come here for all the exciting and relaxing seaside activities, swimming, sun bathing, boat-sailing, scuba-diving, etc. are. There is some nice coral to see and if you are lucky you might see a bamboo shark. After about an hour dipping yourself in the cool and clean blue sea water, imagine that you are now served with a series of especially tasty seafood; you would feel like you were the happiest guy in the world!